The latest Wikileaks revelations will make many believe that the UPA government mustered a majority in Parliament in July 2008 in an unscrupulous manner and the Americans were prime witness to that crime, notes Sheela Bhatt. In New Delhi, reporters know that the issue is dead serious when the government completely denies allegations, puts up a fight as if war has broken out and when they even take on the media to dare them to come close to the real issue. The Congress party, particularly, does so every time when it wants to save the prestige of its president Sonia Gandhi and the credibility of the Gandhi family. They have done so again on Thursday, March 17, to thwart the political damage inflicted by the revealing Wikileaks cables. Sonia Gandhi's extremely close confidante Satish Sharma stands exposed with the release of the latest Wikileaks cable published in The Hindu. The Wikileaks cable reveals that how five days before the Manmohan Singh government faced a crucial vote of confidence on the India-US nuclear deal on July 22, 2008, Nachiketa Kapur, Sharma's political aide, showed a US embassy employee 'two chests containing cash' that Kapur said was part of a bigger fund of Rs 50 crore (Rs 500 million) to Rs 60 crore (Rs 600 million) that the Congress party had accumulated to buy the support of MPs for the trust vote. Let us keep aside for the moment the debate over Wikileaks's credibility or the ethical value of something that blatantly gives only one side's view of the issue. The claims made in the published cables, which were sent by American diplomats based in New Delhi to Washington, DC, can be ignored only by the thick-skinned political class. In a nutshell, the hidden meaning of the cables is that the Congress-led United Progressive Alliance government paid money to Members of Parliament to get votes on the floor of the Lok Sabha with the full knowledge of the US embassy. It is astounding to see that the Americans were witness to the corrupt drama of the buying of MPs in Parliament. The last thing on their mind was the value of democracy so finely inscribed in the American constitution. Despite being in the know of the UPA government's corruption to buy votes, the Americans sent Nachiketa Kapur on an all-expense-paid junket to the US. Of course, in New Delhi, shameless leaders frequently declare at noon that the sun didn't rise in the morning. Satish Sharma declared on Thursday that Kapur is not his aide while in fact scores of Congressmen know that Kapur is a lackey of Sharma, lately. 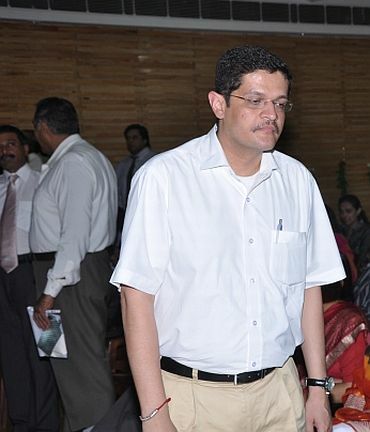 Kapur was a former chief of the Youth Congress's foreign affairs cell when Satyajit Gaikwad headed the Youth Congress. It is now headed by party General Secretary Rahul Gandhi. Kapur came in contact with the Americans because the US embassy has a habit of cultivating lightweight heads of foreign affairs cells at political parties. American diplomats invariably send these Indians on junkets to the US, thinking it would be a profitable investment. Kapur also visited Satish Sharma's political office in his then Lok Sabha constituency, Rae Bareli. Kapur, who is said to be a school dropout, was also close to then National Security Advisor J N Dixit before the latter's sudden death in January 2005. 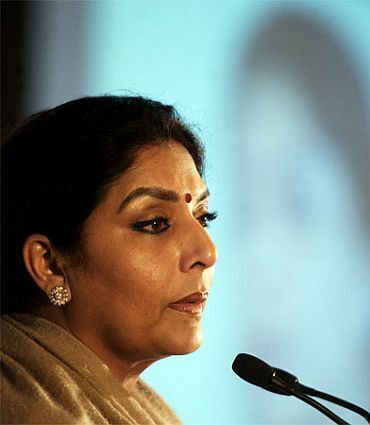 Dixit sent Kapur to Renuka Chowdhury, then the Union minister for women and child development. Chowdhury tried to hire Kapur as her Officer on Special Duty, but his appointment was not approved by the Union Department of Personnel and Training. It was discovered that he was unfit for a sensitive government post. A written note was sent to Chowdhury's ministry. Kapur was appointed deputy director general of protocol and media for the Commonwealth Games, but was removed from the post after the Prime Minister's Office intervened. A complaint had been filed against Kapur at the Parliament police station for 'stealing' government documents. 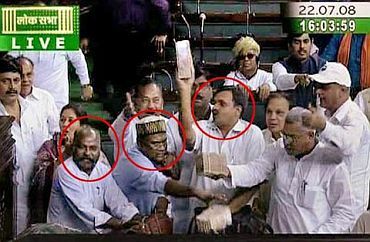 Is it any surprise that this man was showing American embassy officials the currency notes to be paid to MPs? 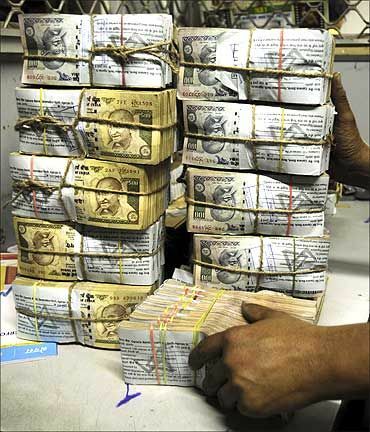 The Wikileaks cable claims the currency notes were shown to the American diplomats and implies indirectly that the Americans were worried about the then UPA government's survival during the July 22, 2008 trust vote. The world over, Wikileaks is being discredited by establishments and the US government. This has ensured that governments do not allow bilateral relations to be adversely affected by the leaks. The Indian government has taken an aggressive stand, very much like the Americans, that they don't recognise Wikileaks. 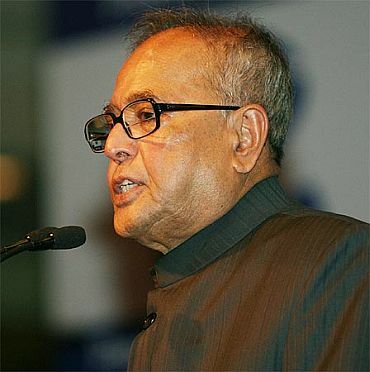 Union Finance Minister Pranab Mukherjee, while speaking in Parliament on Thursday, expectedly, didn't give the Wikileaks cables credibility. In a weak defence, he said what the American diplomats write to the State Department in Washington gets 'diplomatic immunity,' so, the Indian government cannot take any action on the basis of cables whose existence is not 'officially recognised'. He also defended in a bland legal way that the issue was related to the last Lok Sabha and could not be debated in the current Lok Sabha. Opposition leaders Sushma Swaraj, Arun Jaitley and Sitaram Yechury have strongly attacked the government over the issue. 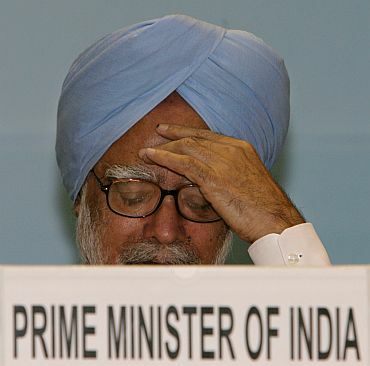 The Opposition wants Prime Minister Manmohan Singh to resign. Congress MP Rajiv Shukla took on a television reporter, saying, 'If someone says Rs 50 crore were found on you, will you believe it?' What Shukla did not say was that this government will brazen out even this controversy. In fact, the allegations, whether one believes them or not, are so shameful for Indian democracy that it is impossible to ignore them. Communist Party of India-Marxist MP Brinda Karat urged the government to at least deny the American claims. The government's supporters dub the Wikileaks cables as 'fun reading' or time pass. But the novelty value of the latest Wikileaks is that the cable touches an important member of Sonia Gandhi's core group. People in the seat of power want to dismiss the cables by arguing that, "Do you really give credence to Wilkileaks? Really? Are you serious? It's so dangerous to take a snapshot from a mine of data. American diplomats send the cables to Washington because it's their job to claim that they are in positions to influence the governments where they are posted. These cables are all about individual egos and personal opinions. How can you even talk about it? It's the job of any diplomat to talk loudly about his work to his superiors." A senior Indian diplomat serving outside the country says, "To be fair, you should compare our cables with the US cables to know how we perceive the same issues and what we think about the Americans." There is a strong point in the argument, but the devil lies in the details of the morning newspaper. In any crime, direct and circumstantial evidence is important. 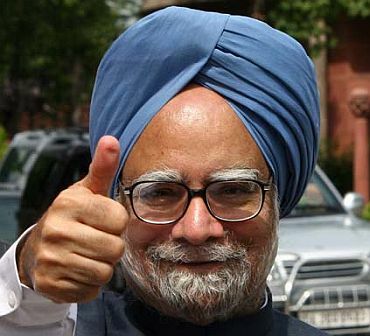 Many Indian voters will surely believe that on July 22, 2008, Dr Manmohan Singh's government mustered a majority in Parliament in an unscrupulous manner and the Americans were prime witness to that crime.